Welcome back to Week 2 of our FQS Exclusive Cake Mix Bake-Off! We had so much fun with Week 1, and are SO amazed at the creativity that has gone into each one of the Recipes! 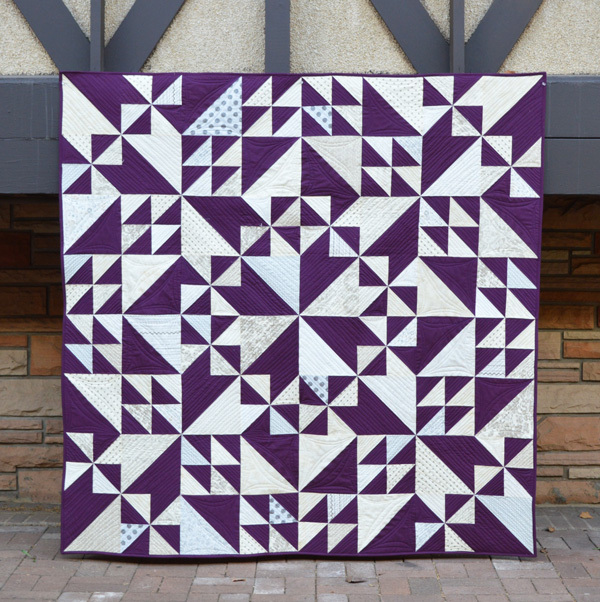 Without further ado, our Week 1 winner is Melissa for her Cake Mix Recipe #1 using Bella Solids Purple and prints from Maven by BasicGrey for Moda Fabrics! Let's tune in to the Fat Quarter Shop YouTube channel as Carrie Nelson of Moda Fabrics shows us a little about Cake Mix Recipe #2 and the endless possibilities to create with these ingredients! It's time to check out what tasty treats our Cake Mix Recipe #2 Bake-Off contestants have whipped up as they compete for this week's winning title! 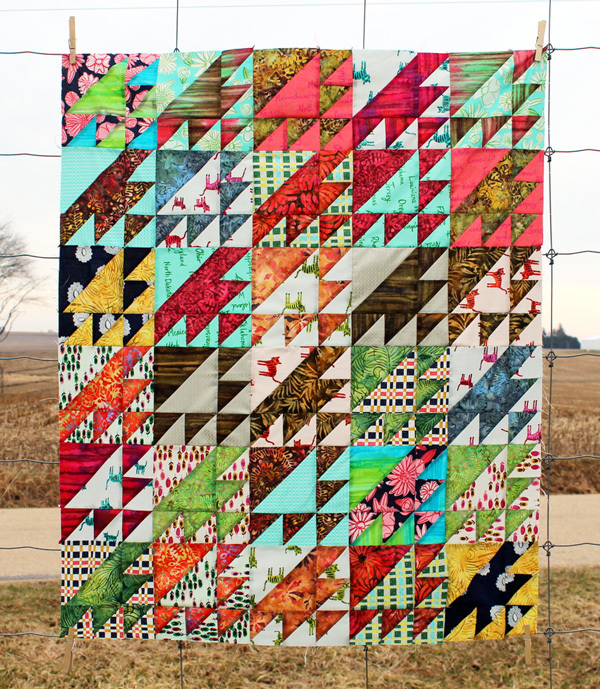 Melissa G.'s Cake Mix Recipe #2 uses the colorful Lulu Lane by Corey Yoder for Moda Fabrics! 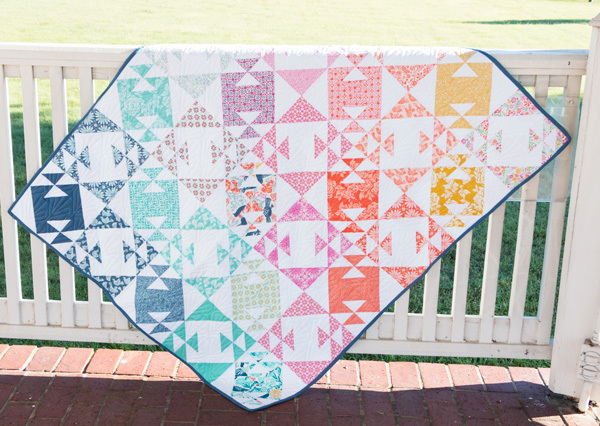 Jocelyn's Cake Mix Recipe #2 showcases fun prints from Early Bird by Kate Spain for Moda Fabrics! Kim L.'s Cake Mix Recipe #2 used a mixture of Color Daze Batiks from Laundry Basket Quilts and Flower Shop by Alexa Abegg for Cotton + Steel! Melanie's Cake Mix Recipe #2 features the fun prints from Lella Boutqiue's Gooseberry collection for Moda Fabrics! 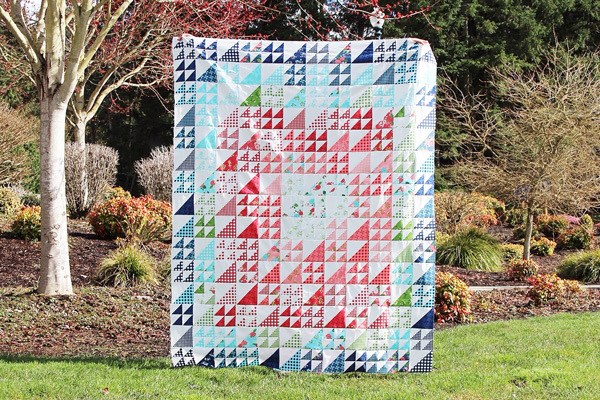 Which quilt project is your favorite this week? Be sure to vote and let us know! We have two more weeks before we find out the overall winner! 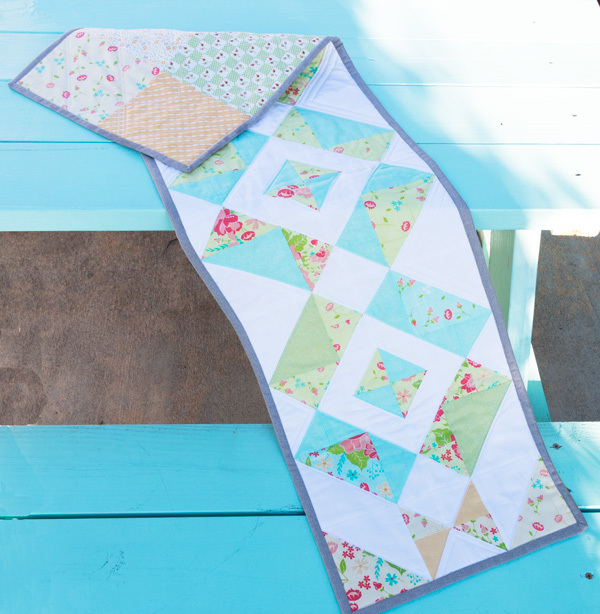 Whose quilt project from Cake Mix Recipe #2 is your favorite?